A new book by Continuity partners Doug Baumoel and Blair Trippe. The book draws upon nearly fifteen years of experience in which Baumoel and Trippe have helped scores of enterprising families navigate the challenges of owning and managing together as family. Based upon their groundbreaking methodology known as “The Conflict Equation,” the book presents five foundational concepts to help readers deconstruct conflict into its component parts. 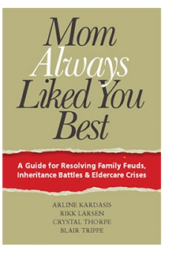 It will help you understand the reasons that underline all conflict, what triggers active conflict, and why conflict can be so extreme in family businesses. Free shipping for U.S. destinations. Contact us for information on bulk purchases. 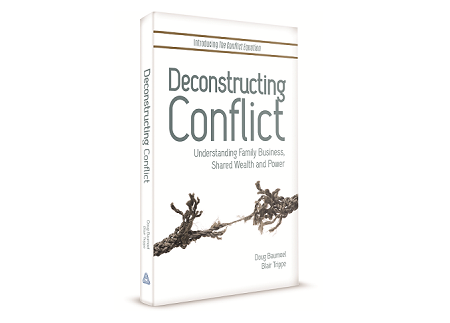 Deconstructing Conflict: Understanding Family Business, Shared Wealth and Power … A new book by the partners at Continuity. This new work draws upon nearly fifteen years of experience in which Baumoel and Trippe have helped scores of enterprising families navigate the challenges of owning and managing together as family. ‘Deconstructing Conflict’ is the ultimate guide to managing conflict in family business and in families who share significant assets. 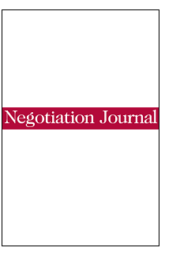 With a Foreword by Tim Phillips – CEO and Co-Founder, Beyond Conflict.